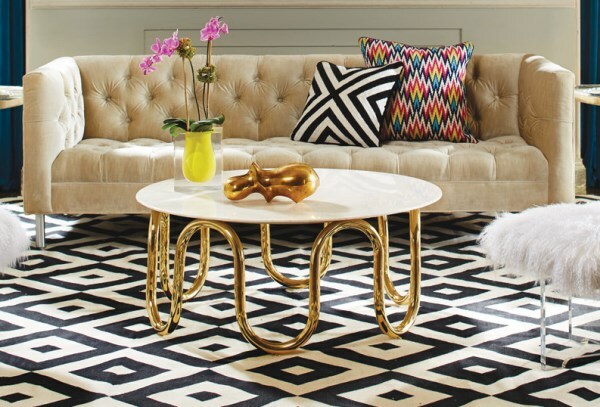 Geo forms are a hit in today’s design world. 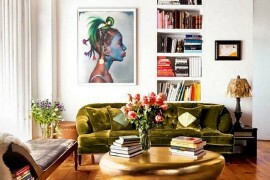 No wonder the Origami Coffee Table from West Elm is hard to ignore! 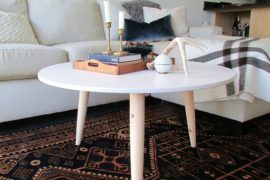 Inspired by origami (hence its name), this table features a hand-inlaid bone-tile top and a geometric base with a faceted look. Another one of today’s top trends: wire decor. 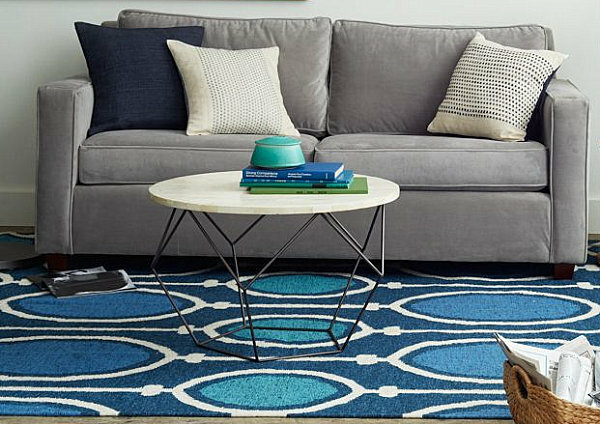 The Apis Coffee Table from CB2 features a grid-patterned iron base and an acacia wood top. As with the table above, this selection is so compact, it can even be used as a side table…which makes it as practical as it is stylish! 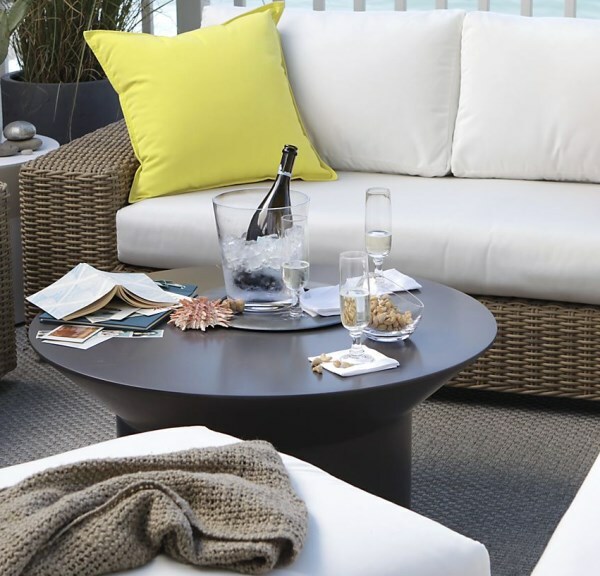 Looking for a coffee table that’s great for the outdoors? 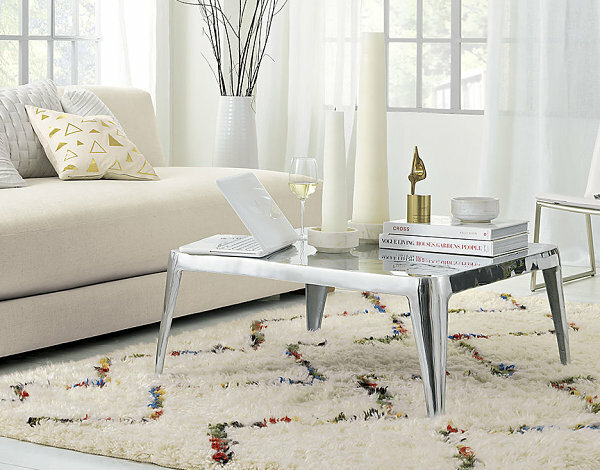 The Acara Coffee Table from Crate & Barrel is constructed from weather-resistant acrylic and natural minerals. Need another reason to love this table? How about its sleek shape?! Never has brass tubing been more alluring. 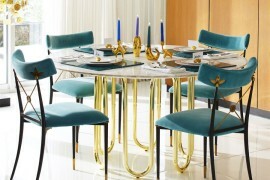 In fact, the Scalinatella Cocktail Table from Jonathan Adler is crafted from a single brass tube base and a Carrera marble top. 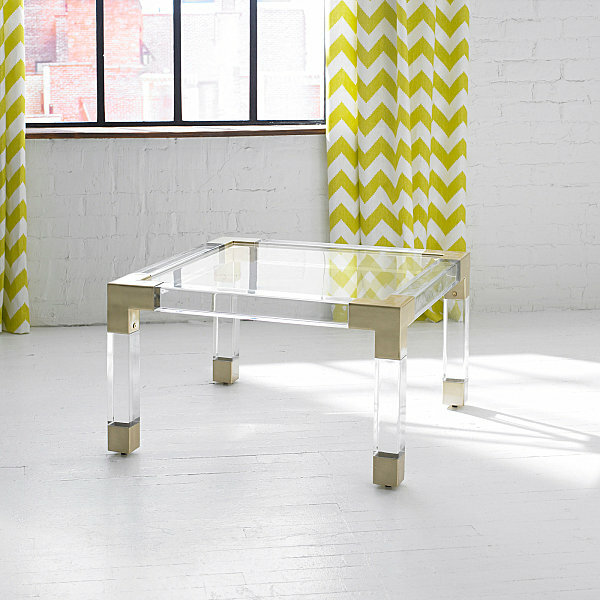 A true conversation piece, this interesting table also happens to be glam. 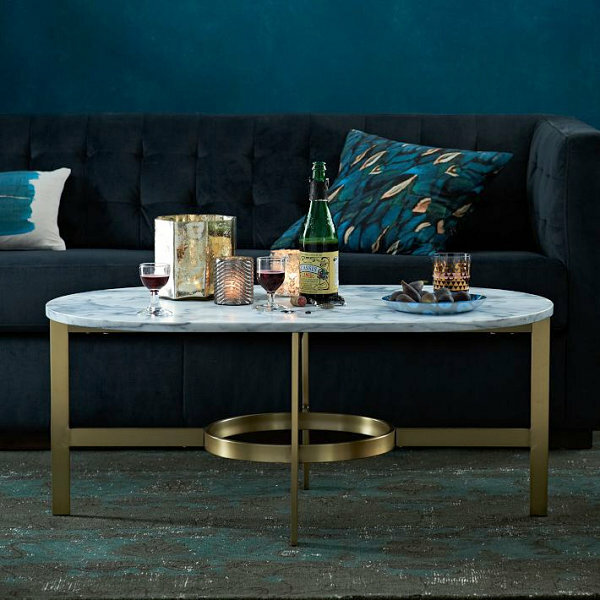 We end our round coffee table collection with this Marble Oval Coffee Table from West Elm. 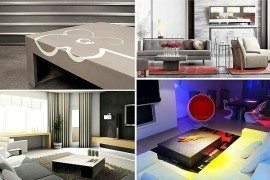 In fact, oval coffee tables are becoming more rare in the current design realm, as perfect circles and long rectangles seem to be the norm. Not only is the antiqued metal base of this piece sturdy yet elegant, the marble slab top gleams without being garish. 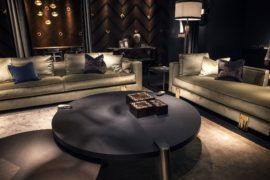 The Sterling Coffee Table from CB2 is created using a unique process that involves hand-pouring molten metal into a sand mold. The result: a slightly rippled surface that serves as an organic contrast to the aluminum shine. Can concrete be chic? You bet! 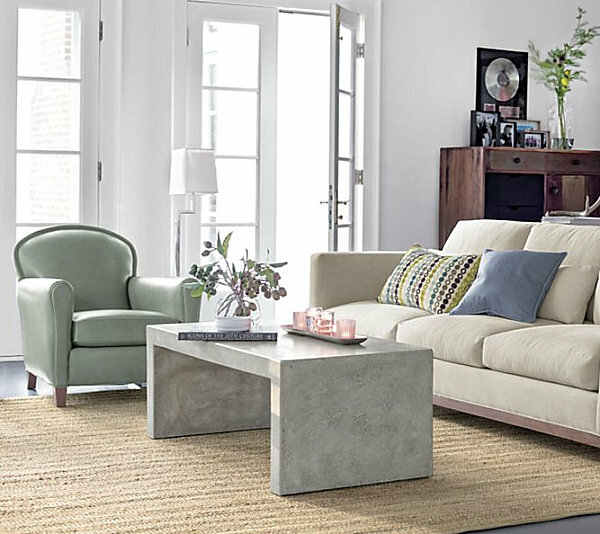 Say hello to the Mason Coffee Table from Crate & Barrel, featuring a clean form and an interesting surface created by mixing an aggregate blend with the concrete. A polished finish adds to the sleek look, while fine fissures make each table truly unique. 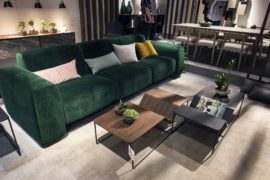 Practicality reaches a new level with the Lacquer Storage Coffee Table from West Elm, which features a hidden compartment. 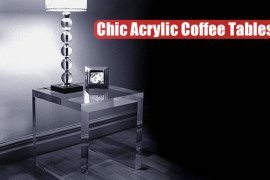 A lacquered finish creates just the right amount of shine, yet this piece is as functional as it is beautiful. One side of the table lifts to provide access to a built-in storage compartment. Books, remotes, blankets–a variety of items can be stashed with ease. 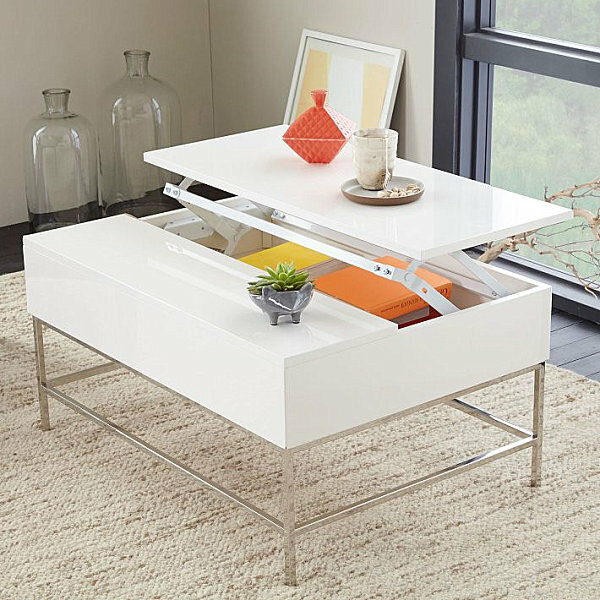 For another coffee table selection that pulls double duty as a storage bin, check out the Aurea White Coffee Table from CB2. Designed by Mermelada Estudio, this clean-lined piece features hi-gloss white sheet metal and engineered wood. Cutout slots provide a place for your hand to lift the panels (there are three). 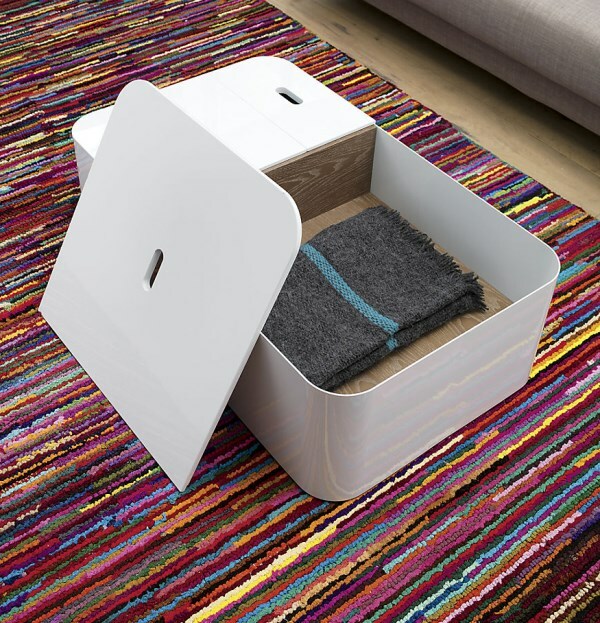 Inside you will find a trio of storage compartments! 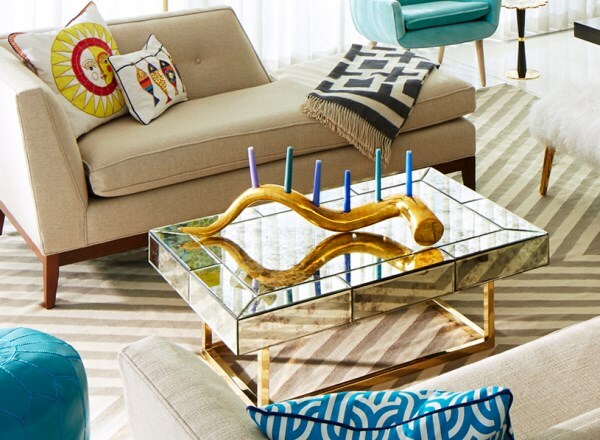 The powerful contrast between mirrors and brass is a key feature of the Delphine Mirrored Cocktail Table from Jonathan Adler. Not only does the table’s mirrored surface reflect the light, a hidden drawer provides a discreet storage option. 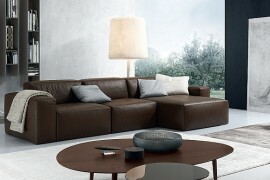 We end with a “coffee table” that takes functional style to a whole new level. 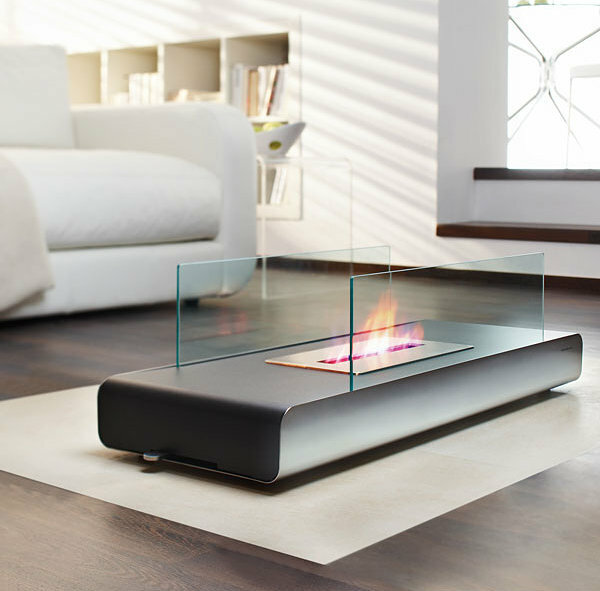 It’s the Vidro Floor Fireplace from Blomus, which will bring a warm glow to your living area as it provides a chic heating option. Are you smitten with any of today’s featured fireplaces? Tell us about your favorites by leaving a comment below!